Mario Gomez has cut short speculation he could leave Wolfsburg this summer. 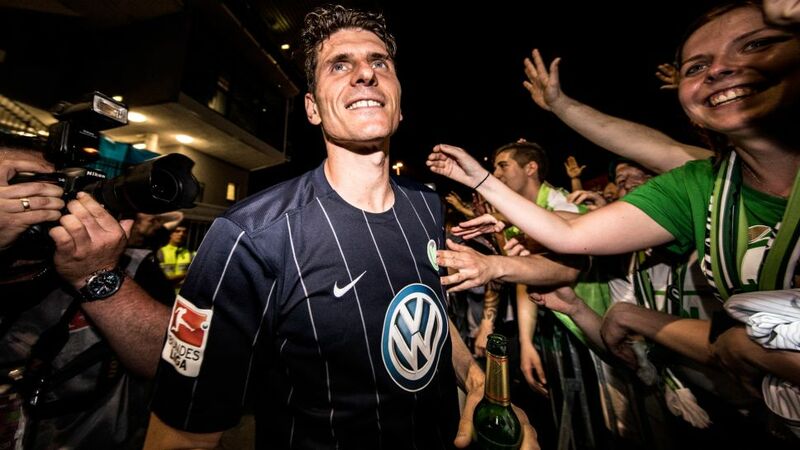 Mario Gomez will not be leaving Wolfsburg this summer, the Germany international striker has confirmed. The Wolves’ top goalscorer of 2016/17 confirmed in a statement made on the club’s website that he is fully committed to the cause, saying: "In a very difficult season in which we have failed to achieve all our sporting goals, I have complete confidence in our team, the club and the fans, and have therefore made the decision to play here next year. In addition, I know that in this environment, I can prepare myself for the World Cup next year." Gomez scored 18 competitive goals this season, more than his team-mates combined, so it was important for head coach Andries Jonker to keep the prolific forward at the Volkswagen Arena, especially given his impressive form since the arrival of the Dutchman. The 31-year-old proved the saviour the 2008/09 Bundesliga winners needed last season as they escaped relegation via the play-off; sporting director Olaf Rebbe acknowledged Gomez's contribution. "Mario Gomez has not only shown once again this season that he is an absolutely top striker, but he has also taken a great deal of responsibility within the team and the club. He has always moved forward in the difficult months that we have had, and so has become an important face of VfL Wolfsburg."